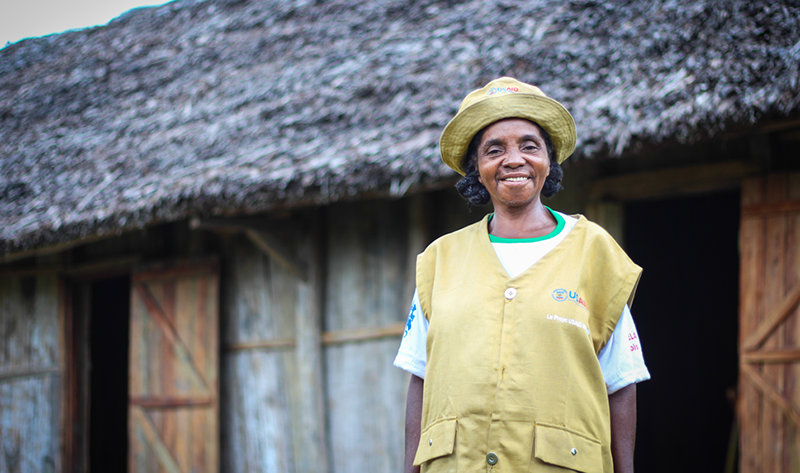 Babera Georgette stands outside the completed health center in Amboafandra, Madagascar. 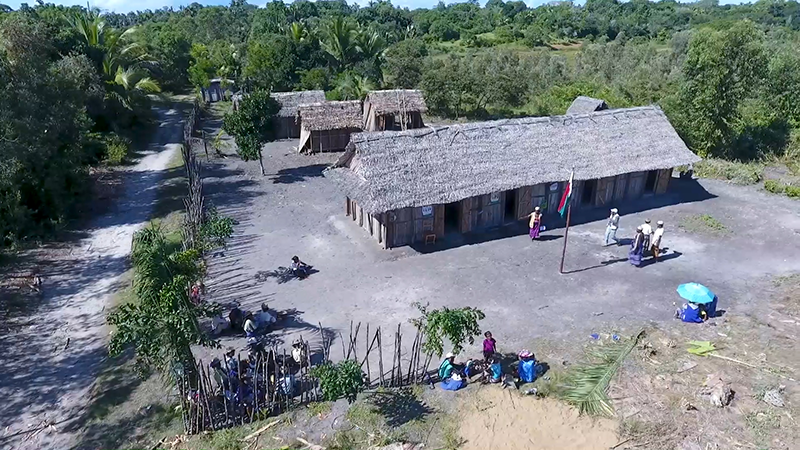 The small village of Amboafandra in southeast Vohipeno District struggled with many of the same challenges as other villages in rural Madagascar. The nearest health center was more than 10 miles away, and simple diseases or infections claimed too many lives. Women gave birth under poor conditions, threatening their lives and those of their infants. In one year, five mothers and six newborns had died due to complications during delivery. Finally, the members of Ampela Mikolo, a local women’s group, decided in October 2015 to take action. Led by Babera Georgette, a 60-year-old community health volunteer who was trained through the USAID Mikolo Project, the 20-member group decided to build a local health center. 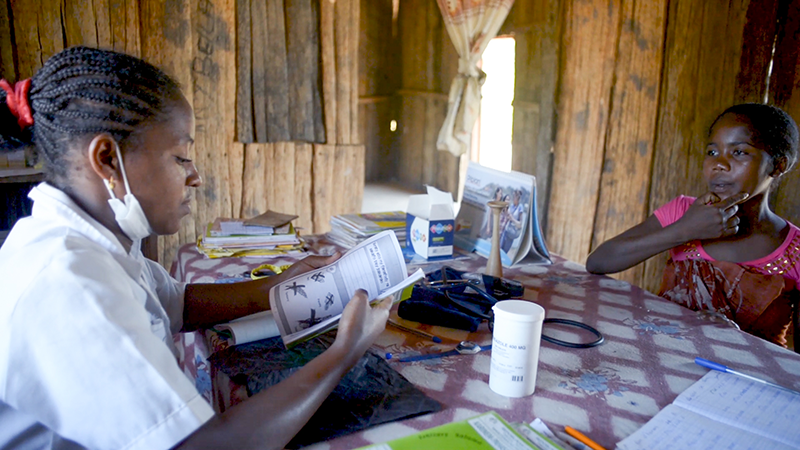 The members had already received training through USAID Mikolo on community health messaging, leadership, gender equality, and promoting healthy behavior change, which gave them the confidence and knowledge to take on this challenge. Villagers joined efforts to gather locally available construction materials. After meeting with and mobilizing community members over several months, the group received a commitment from the men and women of the village to construct the clinic, knowing that since everyone would reap the benefits, everyone needed to participate. Community members purchased most of the materials themselves. The initiative impressed others in the area, and they wanted to help. The Vohipeno District medical inspector donated a birthing table and a bed, the village king provided structural wood beams, the local quarry supplied rocks for the foundation, two Italian health workers living in a nearby village donated tiles for the delivery room and patio roofing to protect patients from the sun and rain, and a local Peace Corps volunteer gave furniture and other supplies. The USAID Mikolo Project, in addition to providing support, training, and encouragement, gave a bicycle to the health center to be used to pick up vaccines because the clinic still lacked a refrigerator. After six months, at the end of 2016, the clinic was complete. It provided enough space for overnight patients, a delivery room, a consultation room, and a pharmacy. It also had a latrine. Georgette and her team asked the medical inspector for a health care worker. A midwife began working at the health center, initially for free because the district could not pay her. Community members were thrilled to have their own health center with a trusted health provider and even chipped in to stock the pharmacy. Today, parents bring in their children for vaccines; people of all ages come in for all types of treatment; and, most important to Georgette, more women now complete their antenatal care visits and give birth at the health center. Fewer children die of preventable diseases, and no more pregnant women die as a result of being too far from a health center. Now Georgette and her fellow community health volunteer, Marie Therese, along with their women’s group, look to the future and what else can be accomplished. Georgette hopes for the construction of a well that can provide clean water for the health center and a sturdier roof, made of tin. 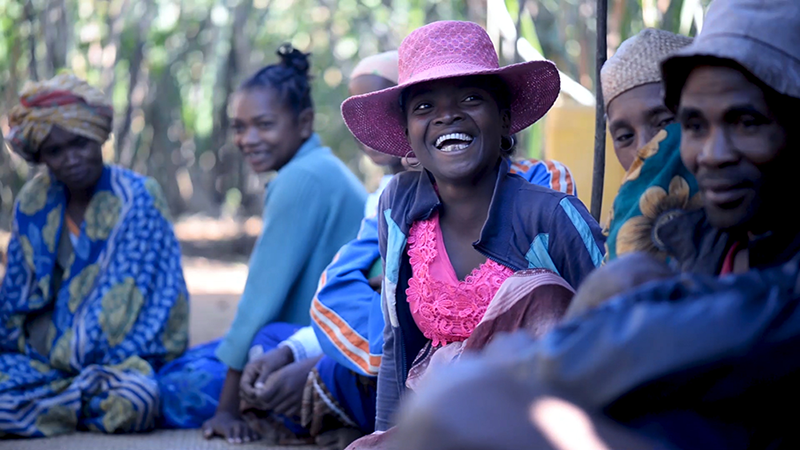 MSH is proud to continue supporting Madagascar’s journey toward a stronger health system and accelerating sustainable health impacts for the Malagasy people under USAID Madagascar’s Accessible Continuum of Care and Essential Services Sustained (ACCESS) Activity. ACCESS will be implemented with a number of partner organizations, including the ACOG Foundation, American Academy of Pediatrics, American College of Nurse-Midwives, Action Socio-Sanitaire Organisation Secours, Catholic Relief Services, Dimagi, Johns Hopkins Center for Communication Programs, and Stony Brook University Global Health Institute. To learn more about our work, visit msh.org and stay up to date with MSH by subscribing to our email series.